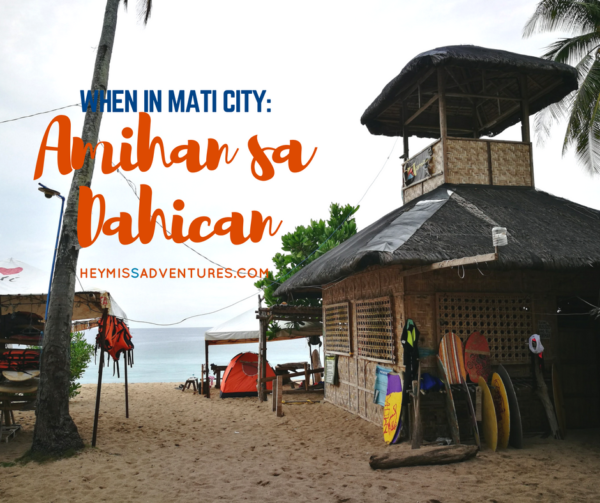 When in Mati City: Living the Island Life at Amihan sa Dahican | Hey, Miss Adventures! I love the beach life except that it sometimes doesn’t like me. I don’t really know how to swim although I bravely join water activities as long as it allows me to wear a life jacket. But what I really love about the beach is its calmness and serenity. 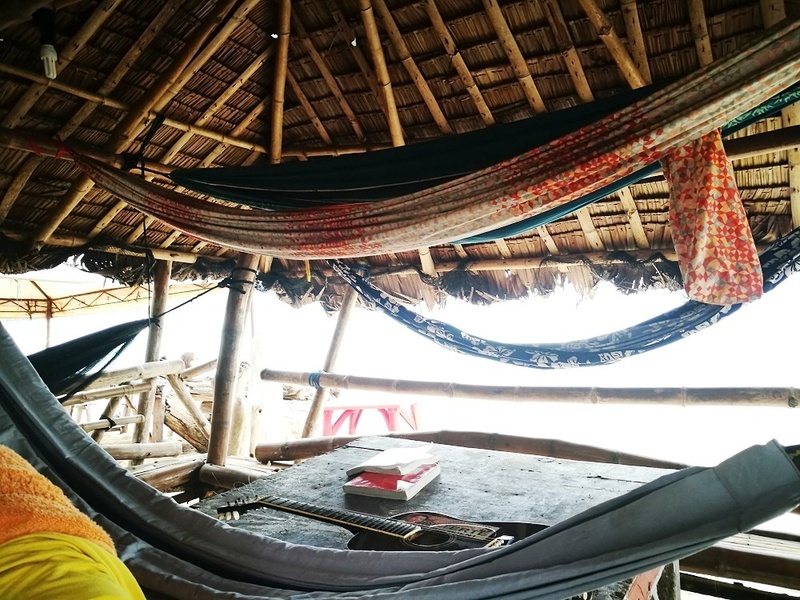 And now that I am a digital nomad (sort of), my ultimate dream is to stay in a simple house by the beach where I could hear the gentle crashing of the waves day in and day out. But nah…that really is just a utopian dream because, I realized, most unspoiled and uncrowded beaches have really poor signal. Anyway, one of the places we really wanted to go in Eastern Mindanao is Mati City. The city started gaining popularity when it was flocked by celebrities during a surfing/skimboarding event. 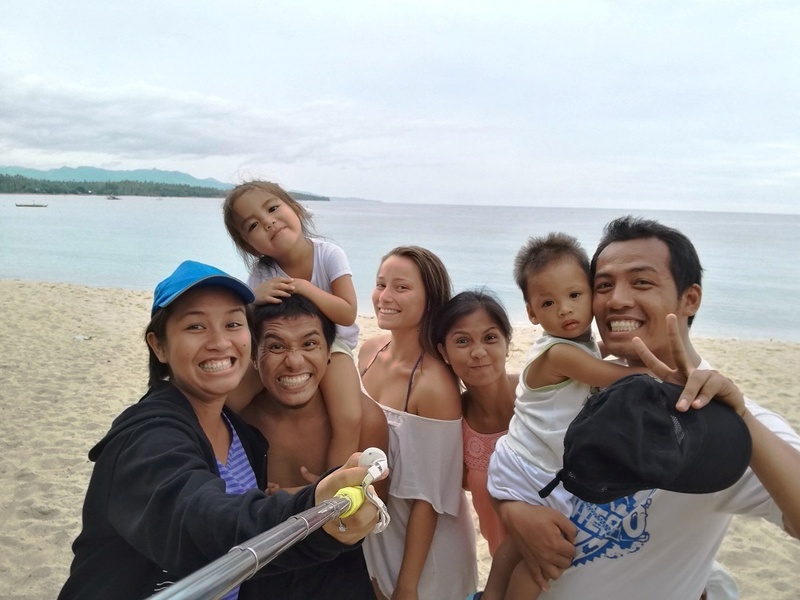 Since then, people have been paying visits to this undiscovered gem in Davao Oriental. 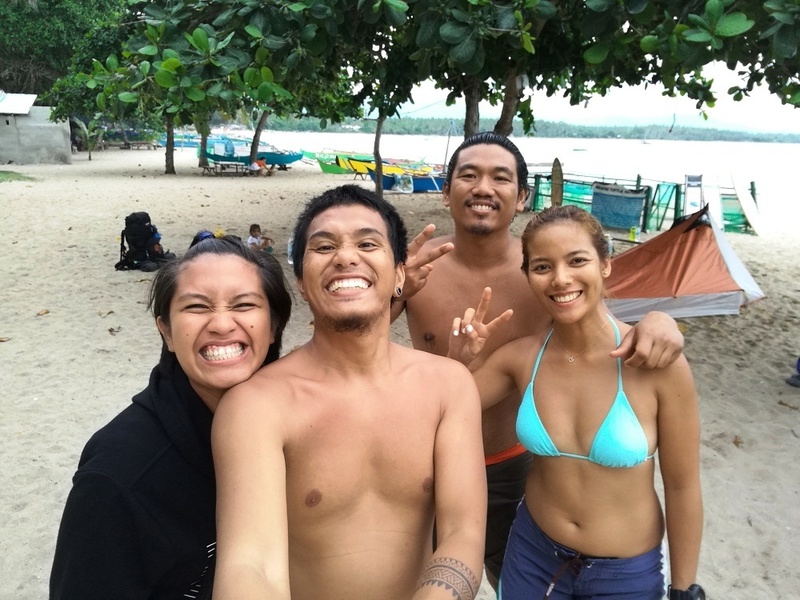 Thankfully, we had the chance to go there and we even stayed overnight on our second night in Mati City. It is around 3 to 4 hours from Davao City by van and costs ₱200 each. 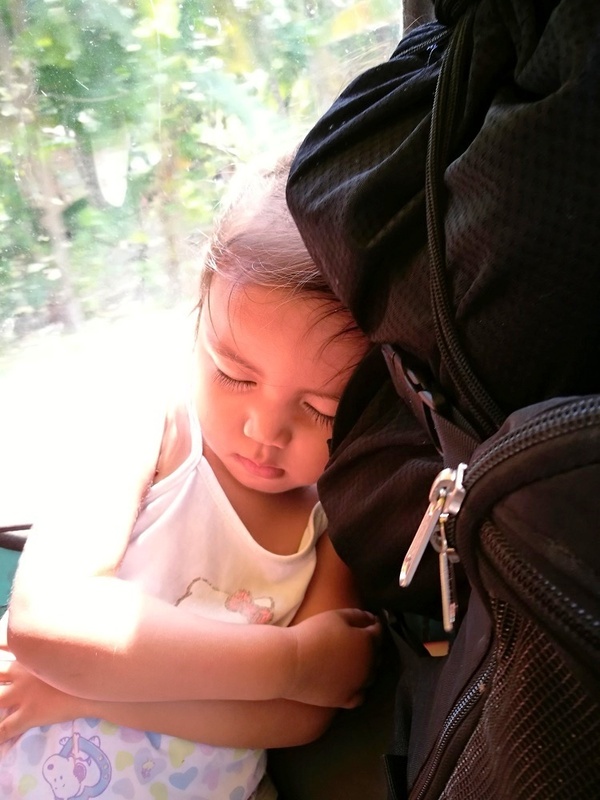 You also get to view the sleeping dinosaur on your way from Davao to Mati. Aside from the beach, another popular Mati tourist spot is their boardwalk, which is equally beautiful during the day and during the night. If you only had one day in Mati, you can visit Dahican first then head to the boardwalk at night. 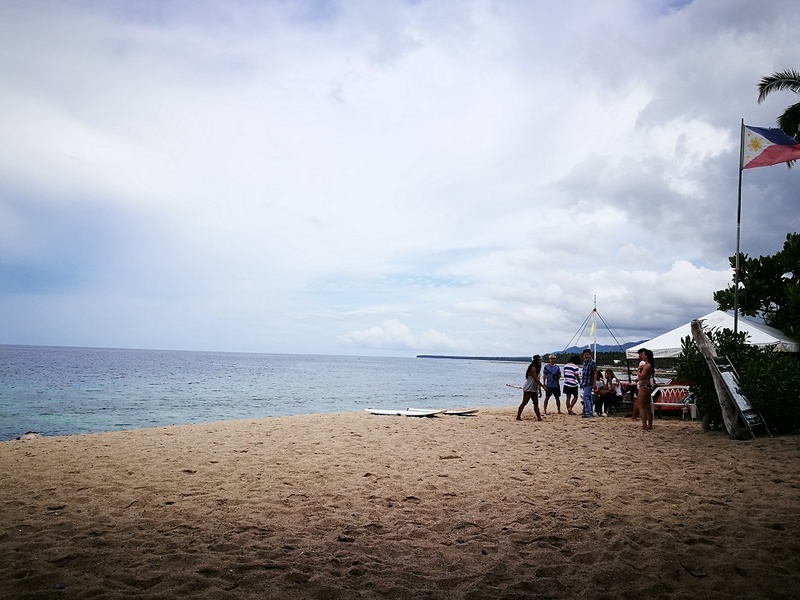 The trip to Dahican Beach from the city center takes around 20-30 minutes or a tricycle ride costing ₱50 per person per way. Of course, the partner took advantage of his haggling skills and only paid ₱50 for our trip going there. The poor driver must have been crying inside upon seeing the half-off price. 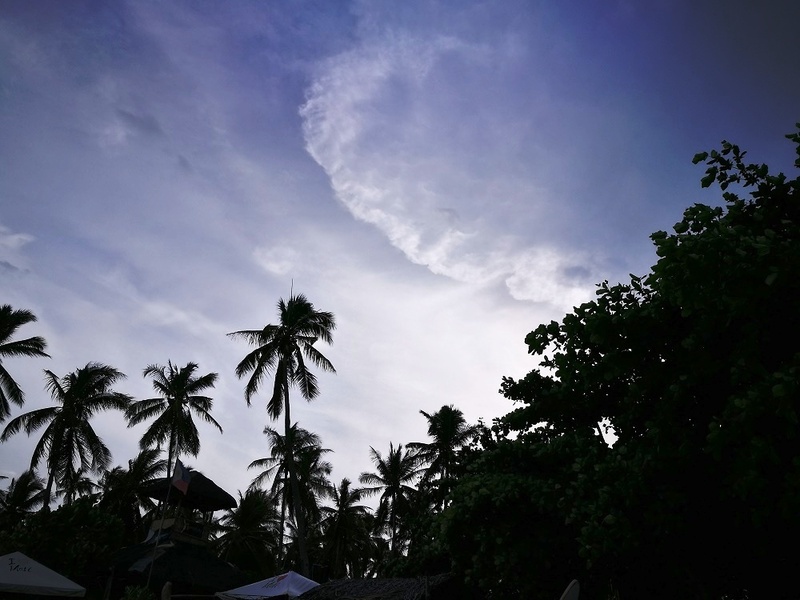 We decided to stay at Amihan sa Dahican which is just a few meters away from the Menzi Public Beach. Based on our initial research, it had the cheapest rates among all the resorts lining up the beach. They allowed camping for just ₱100 a night (per tent, not per person, we found out) but they did not have rooms. The other resorts along Dahican were priced at ₱2,000 per night although it can accommodate at least 3 people. Menzi’s cottages costed ₱600 for day use, which was pretty steep considering that it is a public beach. We reached Amihan a little after lunch time and felt very welcomed immediately. There were already a lot of campers/surfers around who made a little chit-chat with us while we set up our tent. We made friends with a group from Cagayan de Oro and Davao City as well as an American (Hawaii native who was a retired military personnel) who has been staying there for about a year already. Wow. 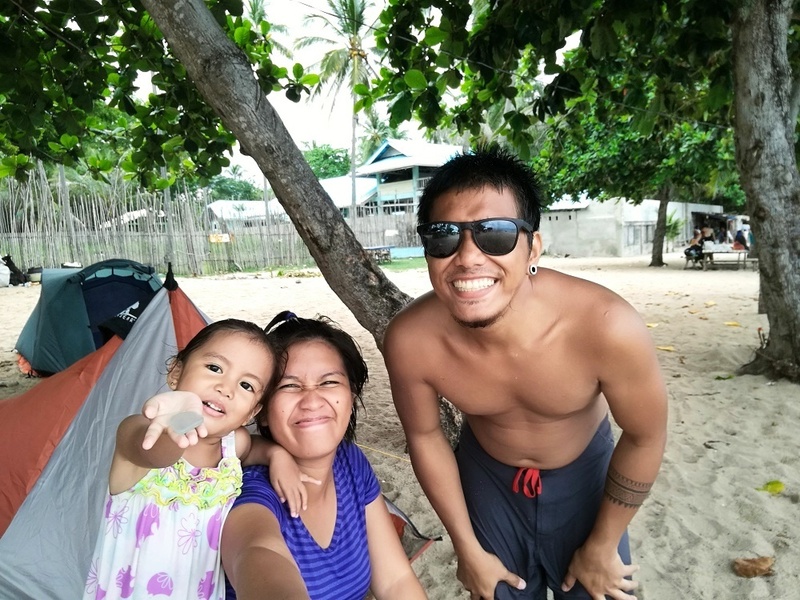 Our 10-day stay in Davao City already made us want to relocate there and now here are people who are actually brave enough to do it; we wanted to stay in Mati, too. Amihan sa Dahican is best known for the Amihan Boys, who are well-known for their impressive skimboarding skills. One of them (Bayogyog) even had to go somewhere in Southeast Asia to compete. Cool, huh? Amihan had a little hut which we found out was home to about 30+ children who were sponsored by a Japanese. They were given funds for schooling and for their daily needs, which is really awesome. Not all the children stayed there, of course, because some of them just lived close by. Everybody was family here, even us. We were not treated like “new arrivals” even if we had been there for less than a day. It was a really great feeling. We shared our food and snacks and talked about many things. They were amazed at our trip and we were equally amazed by them, too. They talked about other people in Amihan and addressed them in first names even if we had no idea who they were. Night fell and we discovered a major drawback at Amihan. Their mosquitoes bite like lions (not that I’ve been bitten by a lion). It was a good thing we had early dinner that day. A storm was brewing so we set up our tent’s fly just in case. As soon as it got dark, the mosquitoes started attacking and we had no choice but to retreat inside the tent, leaving the partner to clean up after our mess. Pajamas really had no use because the little buggers bit through them; it even bit me from inside the tent. As if our hardship was not enough, there was absolutely no breeze anywhere. We were stuck inside our tent with little air; it felt like we were inside a sauna. We couldn’t open our doors because the mosquitoes would start flying in and we couldn’t remove the fly because we didn’t want to have to rush attaching it again in case it rains. Morning came (thankfully) and we woke up to a beautiful view. You’d definitely wish it was morning there all day. I was suffering from a foot injury but I took advantage of the salt water anyway. I honestly did not enjoy the place as much as I would have wanted to because of it. I was having a hard time walking and had to wear socks to keep the sand out (yes, even as I was enjoying the waters). We only stayed at Amihan for a night and had to go back to the city center and stayed for five more days. Perhaps when we have the chance to go backpacking in Eastern Mindanao again, we can stay in Dahican for a few weeks. I’d probably want to get us a small hut though. Over to you. Would you like to live the island life, too? Nice place. Chix lagi kaayo na imong kuyog! Suya kaayo ko sa inyong adventures. Hopefully, I could have a similar trip in the future. I didn’t know that Mati has this beautiful beach. I’ll surely visit this when I get the chance to visit Davao again. I’m not a big fan of beaches since I don’t really a fan of getting wet to its pristine nature, but I always love to feel the sea breeze and the whole experience of being at the beach. 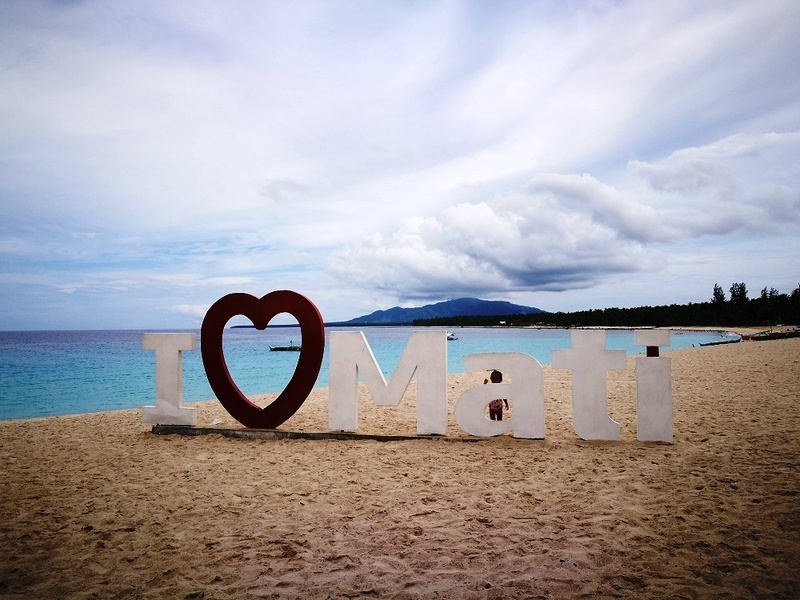 I never heard of Mati. Oh my gosh, what a shame of me. Huhu. And the beach looks so blue sa photos. So cool! Hopefully to visit soon. My ghad, puno na akong listahan hahaha! It is! It was taken by my partner. I took cover inside the tent, away from the mosquito lions BAHAHAHA! I thought I am the only one who loves to gl on a trip but doesn’t know how to swim. Haha. Anyway, haven’t been in Mati but this is a great overview of the place 🙂 haha. 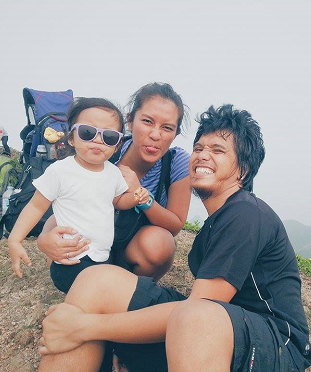 Cute kaayo imo anaaak. 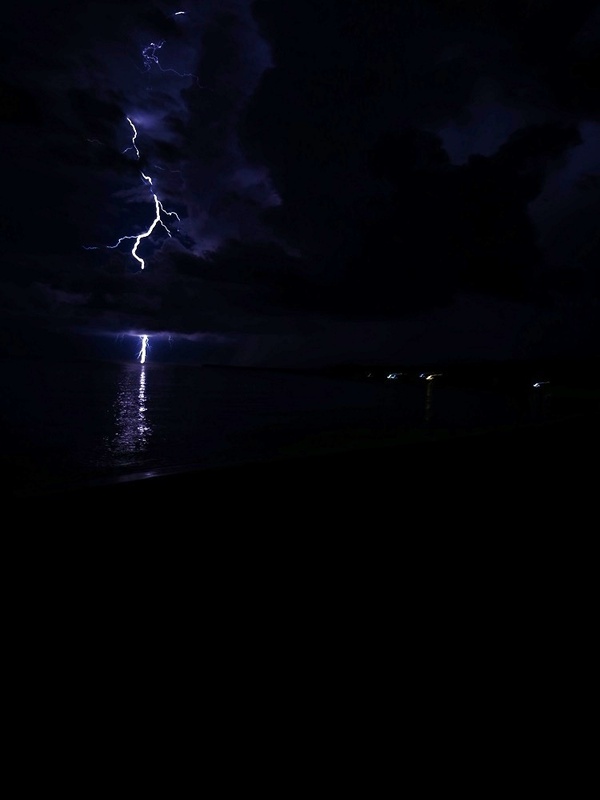 And ooh, it seems you had really a great time in Mati city except for the mosquitoes that bites like lion.. haha.. The beach looks really serene, that made me want to have a dip. My friend and I have been exchanging how we lived as kids. She always says the province life is the best life. I always say it is, too. Growing up in cities, I never knew the humble and simple lives of people in the provinces. So, if I’m offered to live in an island, which is or might be synonymous to province life, I would. Yes! They are so good with their boards. I hope it’s not too late for me to learn how to swim. They say it’s okay to surf even if you don’t know how to swim but it still sounds scary. Hahaha. I heard Mati City mostly at Instagram because people posts the beautiful scenery of the beach. I think that living away from the city is a-must at least once every month. People need to recreate and refresh from the daily doze of busy and stress of city life. 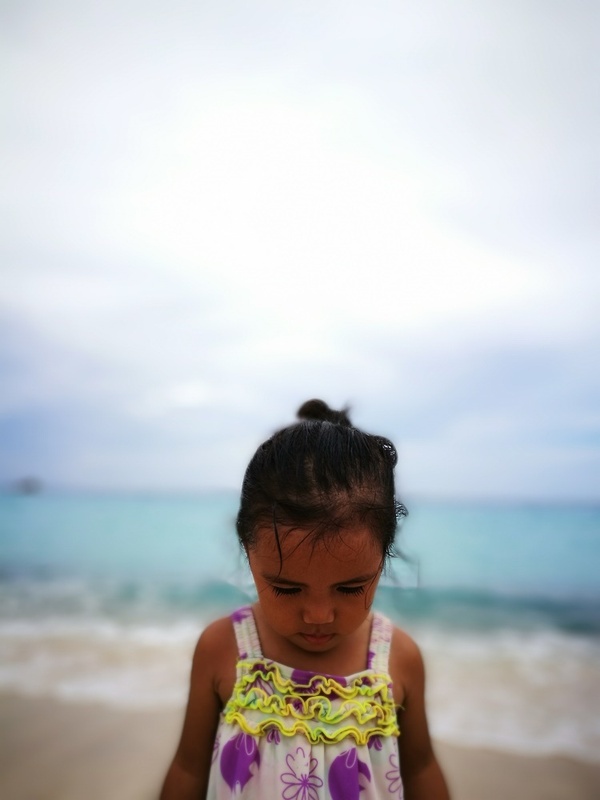 Mati is truly one the destination to consider for this purpose. Living in a simple house in the middle of the forest is my dream. I am not a beach person so I can’t imagine living in one. Hehe. Why are you not a beach person?! Hahahaha. I think I can live in, either. I haven’t figured out yet if I prefer one over the other. An island life sounds nice and dreamy. I like the province kind of feel. Haven’t been to Mati and I wish I can visit when I go home to Gensan this Christmas. Love the photos, nice jud ang Mati! The mosquitoes would definitely bother me too. I’ve tried beach camping & experienced the same situation as yours but that was yearsss ago and so we were just using the traditional trapal, haha! Imagine it’s open and mosquitos were so free to bite. Eeekkk..